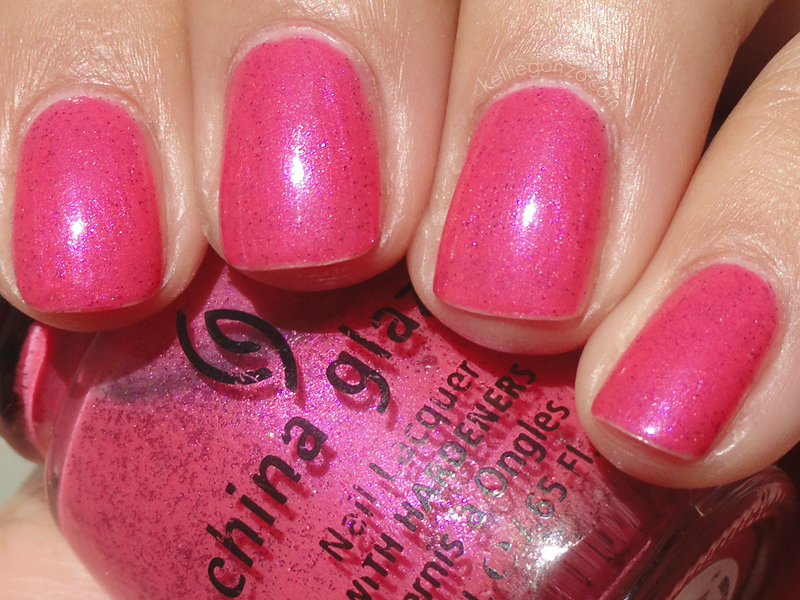 This is China Glaze Sprinkles, an oldie but a goodie. The base color is a yummy bright pink with a blue-fuchsia flash and gazillions of tiny magenta microglitter pieces in it, hence the name Sprinkles! This is three coats (with a day or two of tipwear, oops! ).